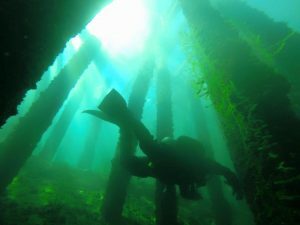 Our TDI Trimix Course builds on the foundation skills and on the dive experiences of your previous technical courses, but with the addition of learning how to dive with more than one deco cylinder on dives requiring substantially more decompression time at deeper bottom depths. Our course gradually steps you deeper and deeper as deco stops get deeper and longer and your dive sites get bigger and deeper. You’ll learn how to manage Normoxic trimix mixes with a narcotic depth range of 100-130′ containing a bottom concentration of as low as 18% oxygen and as high as 23% oxygen through a series of training depths based on a maximum PO2 of 1.3-1.4ata for bottom mix and 1.6 for decompression mixes to a maximum training depth of 200′. 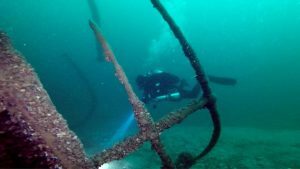 Course will be split between our September Tobermory Dive Extravaganza and a day trip Thousand Islands to finish things up on the Roy A Jodrey. This course is available privately for individuals or groups available locally or wherever you are located. Our TDI Trimix Diver Course is for technical divers wishing to dive to a deeper depth taking advantage of the benefits of a true Trimix dilluting the partial pressure of Nitrogen (reducing Narcosis) and in deeper diving dilluting the PPO2 to avoid CNS O2 Toxicity. This course covers topics such as Helium, Oxygen, Nitrogen for breathing gasses. Argon, CO2, Carbon Monoxide, advanced physiology, physics and chemistry of diving (kinetic energy, specific heat capacity, tissue solubility and more), dive planning, table model comparisons, Isobaric Counterdiffusion and variations of trimixes are just a few of the many topics to be discussed. To enroll in either Trimix course, you must be certified as a diver with Advanced Nitrox, Decompression Techniques, Helitrox, Heliair. 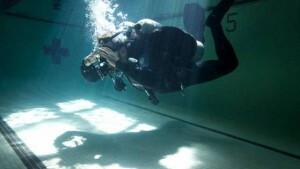 The Trimix Diver Course consists of two levels. These courses will give you the skills and knowledge needed to minimize the risks of utilizing helium-based Trimix breathing gas mixes for dives to a maximum depth of 250′ requiring staged decompression and utilizing EANx mixtures and/or oxygen during decompression. 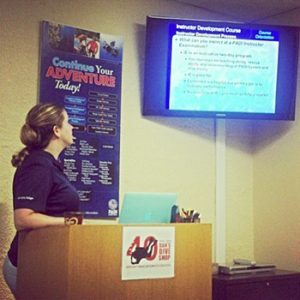 This Team driven program offers some of the most challenging skills found in technical diving and test the diver more than any previous course to date in the students technical diving path. 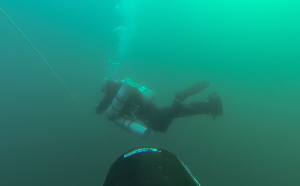 Upon Successful Completion of the course you will be able to plan and execute technical dives that require staged decompression and utilize helium-based trimix breathing gas mixtures and EANx and/or oxygen for staged decompression to depths above 200′. 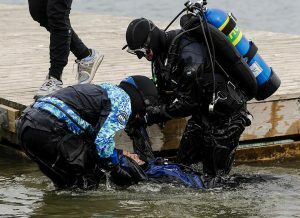 When the Diver gets to the Trimix level they are the most experienced technical divers. Extensive experience in double tanks is needed prior to enrolling in this course. We expect a minimum of 100 dives, 25 of which should have required mandatory decompression. Trimix Divers wishing to upgrade their skill sets, depth rating, knowledge and procedures will move into our Trimix Level II course. 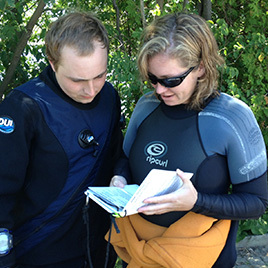 Course does not cover cost of dive charters, gas fills, lodging or food.